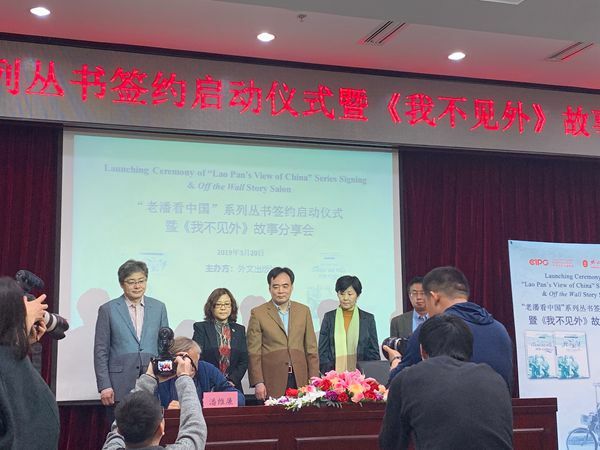 A ceremony to mark the signing of a new book series called "Lao Pan's view of China" was held on March 20 in Beijing. The series will feature the true stories of American MBA professor William Brown's 30 years of life in China, and will be published by Foreign Languages Press for international audiences. Dr. William Brown is well-known to many people of Xiamen, who affectionately call him "Old Pan" (Lao Pan). He was Fujian province's first foreigner ever to receive Permanent Residence, and was honored with China's Friendship Award in 1992. The Chinese and English versions of Brown's book "Off the Wall: How We Fell for China," published by Foreign Languages Press last year, were well received by both Chinese and foreign readers. President Xi Jinping said in a congratulatory letter that Dr. Brown's story is a unique and intimate witness to China's reform and opening-up, and encouraged him to continue presenting the real China to the world. 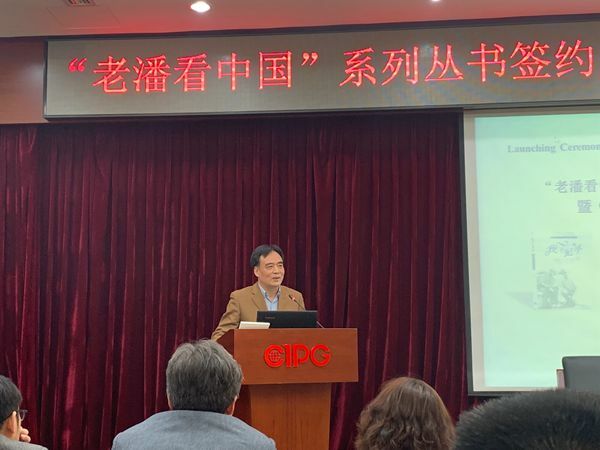 Lu Cairong, vice president of the China International Publishing Group (CIPG), expressed his appreciation for Dr. Brown and the book at the launch ceremony. 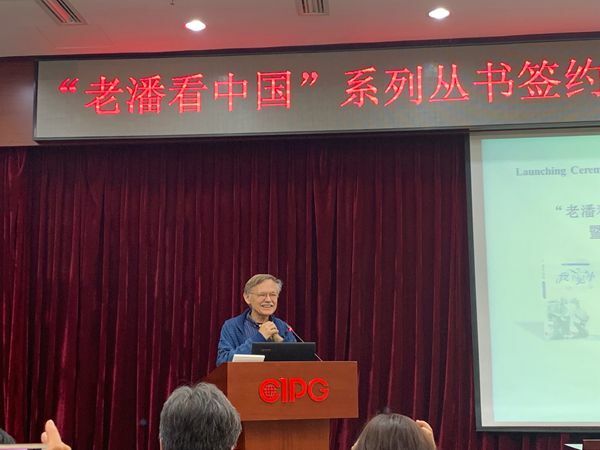 "With his delicate words, Dr. Brown introduced China's historic changes in the recent decades of reform and opening-up," he said. "In terms of promoting Chinese culture and history, we hope to provide an effective platform for authors like Dr. Brown to offer a multidimensional interpretation of China and help people in the West gain a better understanding of China." During the ceremony, Brown shared his stories as an eyewitness to 30 years of transformation during China's era of reform and opening-up. Dr. Brown moved with his family to Xiamen and began teaching at Xiamen University in 1988, when he started sending out a newsletter, called "Off the Wall," to describe his life in China and his exploration of its lively culture and rich history. "We witnessed China's 40 years of economic transformation, and in some ways even participated in these changes." To mark the 40th anniversary of China's reform and opening up, his first book, "Off the Wall," a collection of these earlier newsletters, was published in 2018. Brown expressed his willingness to share more stories of China's unique changes with the world through his new book series. "China has learned much from the world, but we also have much to learn from China." He added that China's changes over the past 30 years are nothing short of miracles, proving that the Chinese Dream is possible, not just for China but for the rest of the world as well.